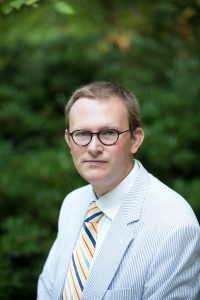 Richard Bishirjian recently wrote an in-depth review of the University of North Georgia Press’ book, The Southern Philosopher: The Collected Essays of John William Corrington. 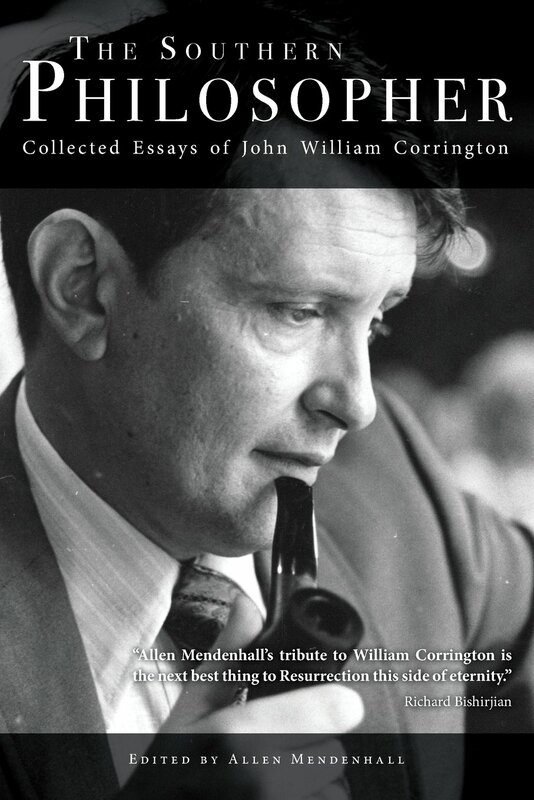 This text w as edited by one of our own authors, Allen Mendenhall, to help encapsulate Corrington’s accomplishments as both an academic and a philosopher. Bishirjian, much like Allen Mendenhall, found Corrington through academia while translating the concepts Corrington had discussed in his writings for his dissertation. This launched a twelve-year friendship between the two of them before Corrington’s death. During that time, they corresponded through letters and developed a close relationship. Many of their letters can be found in The Southern Philosopher. They discussed many of the concepts that are in this book and even held a seminar together about one of the key themes of Corrington’s work: Gnosticism. Now, Gnosticism was not the only interest Corrington had. After multiple years of teaching at Loyola University, he pursued law at Tulane University. From there, he learned about the writings of Eric Voegelin, a southern philosopher himself who discusses the religious community of the South. Corrington thought of Voegelin as the one who truly hit the nail on the head on how to examine the shared experiences of religious sects in the South. Through their joint work, Corrington was able to research and better conceptualize the ideas that he had been pondering. Corrington was also known as a sort of rebel in whatever environment he placed himself in, whether that be as an academic or as a writer. Many of those communities had differing ideals than Corrington, as he wanted to be free of petty academic politics and the narrow-mindedness of other southern literary critics. Through the works of Voegelin and others, he found his own philosophy in politics, historical consciousness, and modern Gnosticism that is free of the confines that his colleagues developed for themselves. Through all of these complex concepts, Richard Bishirjian weaves an interesting look into some of the concepts that can be found in Corrington’s collections. Corrington said it best that “What my work really represents is the openness, the ambiguity, the vastness of the possibilities of human being in the mode of existence as it realizes itself in the South in my time.” You can find all of this and more as you delve into Bishirijian’s review and The Southern Philosopher. 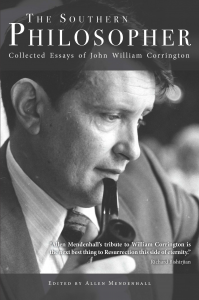 We’re honored to have Allen Mendenhall, editor of The Southern Philosopher: Collected Essays of John William Corrington, join us today as he talks about his research process, the help he received, and just what makes John William Corrington so interesting. You can find more by him at the Southern Literary Review and his website. My interest in John William Corrington began in law school. I went to law school at West Virginia University to study under Jim Elkins, who is well-known in law-and-literature circles and recently had written on Corrington. I read Corrington in Elkins’s classes and at some point, reached out to Corrington’s widow, Joyce, to strike up a conversation about her late husband. Before I knew it, I was staying at Joyce’s home in New Orleans and getting phone calls from Bill’s friends and colleagues. One day, a package arrived in the English department at Auburn University, where I was a doctoral student, and in it were materials that a friend of Corrington’s sent along because he’d heard I was researching Corrington. Some of Corrington’s other family members refused to talk to me about him. Joyce was always completely forthcoming with me when I asked her what I thought were sensitive questions. She’s not shy. The first time I found out Corrington had been married and divorced before he met and married Joyce, I was concerned about broaching the topic with her. But when I did question Joyce about this period of Corrington’s history, she didn’t miss a beat in explaining who the first wife was and why Bill had divorced. Joyce showed my wife and me around New Orleans, took us to nice restaurants that only locals knew about, and showed me video footage of her late husband delivering a lecture. I couldn’t have gained the knowledge of Corrington that I now possess if it weren’t for Joyce’s openness and frankness. I’ve written three books and now edited this one. The Corrington edition was harder to complete than the books I wrote. It took over seven years of work before the book finally reached print. 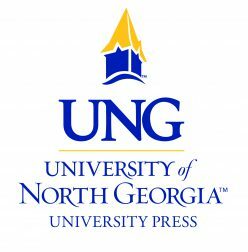 The University of North Georgia Press has been patient with me and excellent to work with during this process. Corrington was enthralled by the political philosopher Eric Voegelin and undertook multiple scholarly projects involving Voegelin’s complex teachings. Corrington illuminates Voegelin’s writing; in many ways, Corrington is easier to read. His prose, I think, is more accessible than Voegelin’s, and he introduces and describes the dense, esoteric subjects and concepts that characterize Voegelin’s work. Problematic in our current time and space and political environment is Corrington’s fascination with the Confederacy. I won’t try to explain his positions on that subject here but would encourage readers to investigate for themselves his account of the role of myth and poetry in the narration of Southern history. It’s interesting to see how Corrington went from writing Beat-style poetry in the 1960s to novels and short stories and then to daytime television scripts and philosophical tracts inspired by Voegelin. His interests and talents were diverse, and his friends and students were loyal. I’ve yet to talk to someone who disliked Corrington. I think there’s more work to be done on Corrington’s life and thought. By bringing this collection of Corrington’s essays to print, I hope to have laid the groundwork for future scholarship on this fascinating man and his complex ideas about law, history, philosophy, and the humanities. The Southern Philosopher should generate more research about Corrington—and perhaps even get Corrington’s works in the classroom where students of a new generation can become as enamored of him as his own students were in his day.